This week 6-2 (3-1) Tulsa hosts 3-5 (1-3) East Carolina. Both teams are coming off one of their best performances of the season. Tulsa defeated Memphis on the road 59-30, and East Carolina dismantled UConn 41-3. This one is a matchup between two offenses that can put up a lot of yards, and two below average defenses. It could shape up to be an exciting shootout, the line is Tulsa -8, with the over/under at 75! 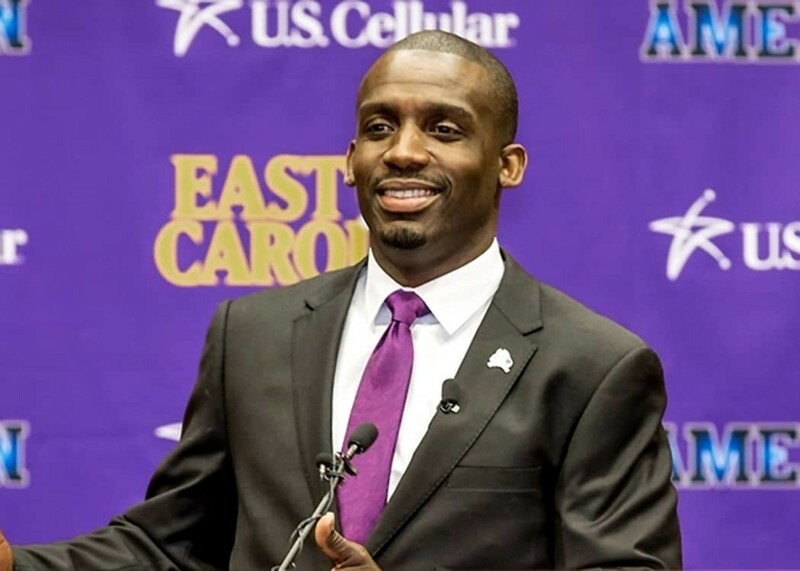 ECU has a new head coach, and an air-raid passing attack. This should be a fun Saturday night football game in Tulsa, OK. Let’s get to my preview. Last year: The Pirates started with a 4-3 record, but ended up dropping 4 of their last 5 to end the season at 5-7, HC Ruffin McNeil was fired after the season. East Carolina defeated Tulsa 30-17 last season. This year: ECU hired former Steelers WR and Duke Offensive Coordinator Scottie Montgomery (no relation to our Philip) to be their next head coach. Coach Monty #2 coaches very similarly to our coach Monty; Scottie is a players-coach who wants to have a family-like relationship within his team. Scottie brings an air-raid attack that has lead his team to #6 in the nation in passing yards per game. The Pirates got off to a great start this year, defeating a now 4-4 NC State 33-30 to move to 2-0, but they then lost 5 straight before handling UConn last week. It is worth noting that the games over that stretch were @ South Carolina, @ Virginia Tech, UCF, @ USF, and @ Cincinnati. That is a tough stretch, the worst loss was probably home to UCF, but there is even no shame in that. Losing 5 straight is never a good thing though for a first-year head coach, being a player’s coach, this is good challenge for Montgomery to see if he can get his players to buy-in during adversity. Best players: Senior WR (#7) Zay Jones is having one heck of a season; 114 receptions (1st in nation) for 1094 yards (2nd in nation). He is really benefitting from the Montgomery #2’s system, and he scares me with Keanu likely out. The Pirates next leading receiver, Jimmy Williams (#81), is their home-run threat. He has more touchdowns than Jones this season, and is averaging 20 yards/reception. Senior QB Phillip Nelson is having a great season. Nelson has a troubled past; ECU is his 3rd college, and he was previously kicked out of Rutgers for assault. There is a good story about his journey here. Despite not playing in a football game since 2013, Nelson has completed nearly 70% of his passes for 2377 yards and 15 TDs. The defensive leader for ECU is senior LB (#1) Dayon Pratt. Uniform Advantage: It is interesting because ECU, like Tulsa, switched from Nike to Adidas this season, and it has worked out well for both teams. Like Tulsa, they fail to use any striping. The purple jersey looks really good, and I like the yellow pants, but the white jersey does not look good. I’m also not a fan of the oversized pirate logo, advantage TU. Uniform prediction: I miss the white helmet, let’s bring it back. White-Blue-Blue. Key’s to the game: An already struggling Tulsa secondary will face another stiff test this week. One of the biggest keys to the game will be how the heck we can stop Zay Jones. Assuming Hill is out this week, our secondary will be comprised of Kerwin Thomas, Reggie Robinson, Jordan Mitchell, Jeremy Brady (not 100% healthy), McKinley Whitfield, Christian Williams, and maybe Will Barrow? We have seen that when Keanu is out of the game, our pass defense struggles. I love Kerwin, but I don’t have confidence in his ability to cover Jones 1-0n-1. I expect to see a lot of zone from Tulsa, and maybe an extra defensive back for most of the game to help cover Jones. With that said, their other senior WR Jimmy Williams is no joke either; Tulsa can’t simply ignore him and expect Reggie to cover him 1-0n-1, this is a tough matchup for our secondary, and with Keanu’s injury it really throws a wrench into everything. One way TU can help their secondary is pressure the QB like they did last week. ECU allows 2.5 sacks per game, we need to take advantage of that and knock Nelson down a few times early. ECU has been prone to turnovers, and the best way to exploit that weakness is by getting pressure, as we witnessed last week. Tulsa’s defense must hold ECU to field goals. ECU is one of the top teams in the nation in yards/game, but they fail to convert their opportunities into points (only 28.5 ppg). Offensively, the game plan for Tulsa does not change. Continue to run and pass the ball as we have been, and minimalize mistakes. I guess the key for the offense is just come ready to play. ECU nearly shutout UConn last week, and while Tulsa is much, much better offensively than the Huskies, the Pirate’s defense will come into this game confident. I have a feeling that we will need a lot of points to win this game, so the offense can’t afford to waltz into this game with no energy as we have seen in other games this season. Another offensive key is that we must take advantage once we get into the red-zone, touchdowns win this game. Preview: Honestly, this game scares the crap out of me. Hill’s injury is so, so, so costly. Our secondary has been getting by okay with him in the game, but with him out I’m afraid that we’ll see ECU put up nearly 500 yards passing. The Pirates have a senior QB, and two very good senior WRs, one of which may be the best in the nation. The secondary will be challenged this week more than they have before, and I hope they are ready for it. Offensively for Tulsa, we should have no problems moving the ball on ECU, but two things worry me. 1) ECU’s defense is coming off their best game of the season, and 2) ECU shut Tulsa out for 3 quarters last season. Granted, almost everything about that game last year was different, but because of those two things ECU’s defense will be extremely confident. I think we should expect to see a shootout, and hope that Tulsa plays well enough offensively to outscore the Pirates. Prediction: Slow start for Tulsa, ECU grabs early lead and its a back and forth shootout for 3 quarters before TU pulls away in the 4th. Tulsa 45-38.